Elizabeth Peters is an incredible writer. 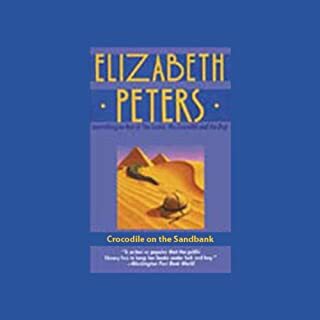 Her humor and dry wit, along with her finesse with the english language, combine to make a wonderful character, Amelia Peabody, and her adventures with her fellow characters are fun and a great adventure. I read the entire series, years ago, and decided to go back and enjoy them again. I got this one first, of course, and was very impressed with the narrator, not to mention the story. Amelia Peabody is an independent, confident, strong-willed woman, with a heart and soul of delicate flower. She is fantastic, and I won't reveal any of the plot, but you'll love the ending...! This doesn't deserve any stars. 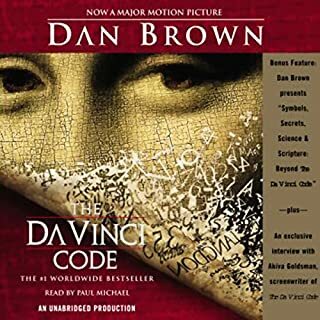 Being a writer myself, I can only surmise that after reading this, and then suffering through the listening to it as an audio book just to make sure I wasn't being unfair, that Dan Brown must have a huge following of fans. It reads like a first novel, and I am surprised that so many people find it "enthralling". The dialogue is horrendous, the narrative is pedestrian, and the writing overall seems remarkably amateurish for a celebrated novelist. It reads like a book he wrote years ago, hid in a closet, got well known, then brought it out and dusted it off to present it to his agent and publisher. I wrote better than this when I was in the 3rd grade. His prediliction to repeat sentences and phrases over and over again is annoying, as if the reader is mentally challenged and didn't get it the first time. It is an insult to a reader to "write down" to your audience. It just goes to show that perserverance pays off in the publishing world. If any other writer had tried to peddle this manuscript, they would have racked up truckloads of rejection slips, and been told to take elementary writing classes, in addition to "get an imagination". This writing is almost as bad as Danielle Steele, another publishing miracle. Add to the fact that the narrator does a pretty horrendous french accent, I was aghast. It is on the best seller list, so of course audible is going to offer it, but honestly, I am sorry I wasted a book credit on this sophomoric drivel. It stinks.